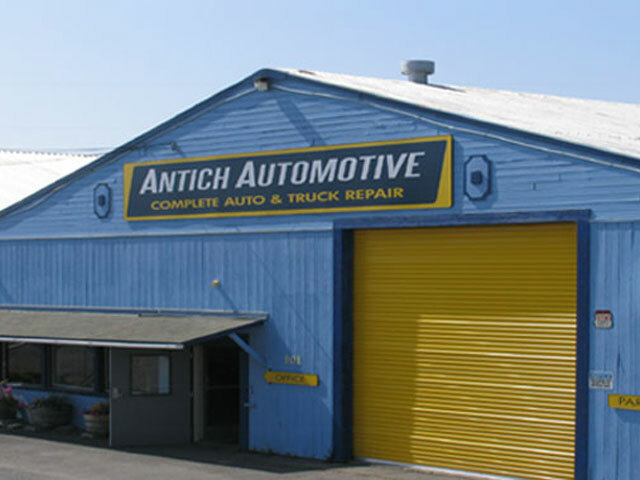 Just out of high school in 1977, John Antich founded Antich Automotive at a gas station at 14th and Broadway in Eureka, California. After a number of years, the company moved to a larger building at Al's Truck Stop, still on Broadway, but then relocated again, to Broadway and Hawthorne, when Al's closed in the late 1980s. (If you’re from Eureka, you’ve probably seen us around!) Even with the location changes, our customer base stayed strong, and Antich Automotive continued to grow. In 1995, John took our current owner, Michael Connerley, on as a partner. The partnership was founded on John and Michael’s mutual desire to provide high quality, honest auto repair to the Eureka community. The partnership blossomed into what would become the largest independent auto repair shop in Humboldt County. In 2005, we were forced, by growth, to move to our current location at 101 2nd Street in Old Town Eureka, and in 2008 John decided to sell his interest in Antich Automotive to Michael and move to Redding, California. In 2010, Michael was fortunate enough to hire Susan Hall to the position of apprentice mechanic, and discovered the next generation of Antich Automotive. 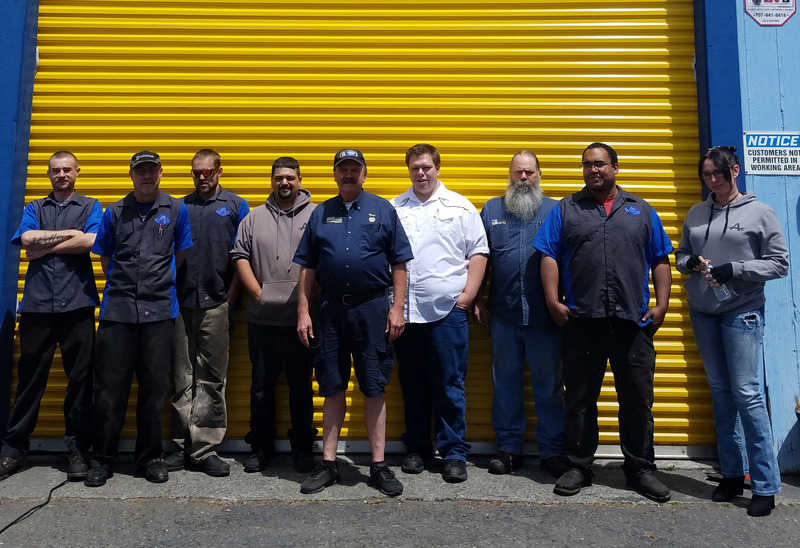 In developing the only apprentice mechanic program on the North Coast of California, we found a few exceptional individuals who have blossomed into certified automotive technicians. The very best of which is Susan Hall. Susan excelled in the apprentice program and also showed a rare talent for customer service. We decided her talents best served Antich Automotive on the management team. With her fundamental knowledge of auto repair, Susan’s move into management has had a very positive affect on our business. She performed very well in each of the service positions at Antich Automotive, and has now assumed the role of Chief Operating Officer and Junior Partner. Susan’s unbridled passion for customer service combined with her drive to provide quality work has brought her to be considered the next generation of Antich Automotive. "For many years, I have been building successful businesses all over California. My father was a mechanic, but he would not let me become one. He made me go to college. Now I own the largest independent automotive repair shop in Humboldt County. The irony is not lost on me. I settled in Eureka in 1991 and have lived here ever since. I love the people and assets here on the north coast. I am a God centered man just trying to do the right thing in business and personal pursuits." Mike was originally a partner in Antich Automotive with John Antich, our shop’s founder. He has spent his entire professional life building successful businesses all over California, and from 1995 to present, he has made Antich Automotive the largest independent auto repair shop in Humboldt County. Mike settled in Eureka 25 years ago, and will spend the rest of his life providing quality auto repair service at a fair price to the thousands of Antich customers. Susan started as an apprentice technician at Antich Automotive many years ago. Over time, she worked her way through the different positions available at our shop, and today, she is dedicated to working with our employees and customers to achieve the highest level of customer satisfaction and overall production we can. Susan has moved the direction of our company to community outreach and is striving to form a business development group to better address all of the needs of our area. No matter what your concern is, or you just need a cup of coffee, she is always there for her Antich Family, customers and employees alike. Larry is an extremely hard working and friendly addition to our staff. He is responsible for driving customers, picking up parts, and washing cars. While he doesn't do the service advising or repair jobs, he has always loved the automotive industry. We can always count on him to be professional and accommodating. Tosh started with us as an apprentice technician, and now leads our Saturday crew and assists during the week. He also handles most of our diesel repair and is now learning diagnostic procedure. Tosh holds several auto repair certifications, and came to us with a background in management, which means he has been very helpful in setting up our shop. Tosh is always willing to pitch in on extra projects and is often the first to jump in and help when needed. Paul came to us with an extensive background working with brakes, steering, and suspension, as well as tires. He holds many auto repair certifications in different areas, enabling him to easily identify problems much faster than your everyday technician. As a technician, Paul is thorough, efficient, and honest. As a person, he is friendly, to the point, and an incredible addition to our team. Chris originally worked with us as a porter, giving people rides, washing cars, picking up and delivering parts, and helping to answer phones. During that time, Chris showed an interest and a genuine desire to learn how to be a technician. He had been working on cars in his free time for a while, and we were pleased when the opportunity came up to be able to help Chris make his dream come true. Today, Chris is an excellent lube technician and very capable of doing minor repairs. He is always looking for ways to improve.